This was a recent cooking class recipe but I thought the timing was right to post in on my website. Strawberries are in season now and what a perfect time to try a new recipe with them! 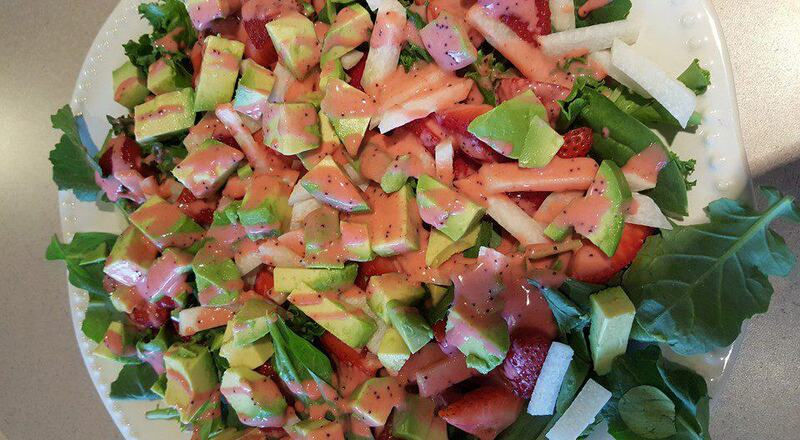 The dressing for the salad is AMAZING and you’ll love how easy and quick it is to put together! To make dressing, place all salad dressing ingredients except poppy seeds in a blender or food processor and blend until smooth. Transfer dressing to a jar or measuring up and stir in poppy seeds. Makes 12 servings, 2 tbsp. per serving.